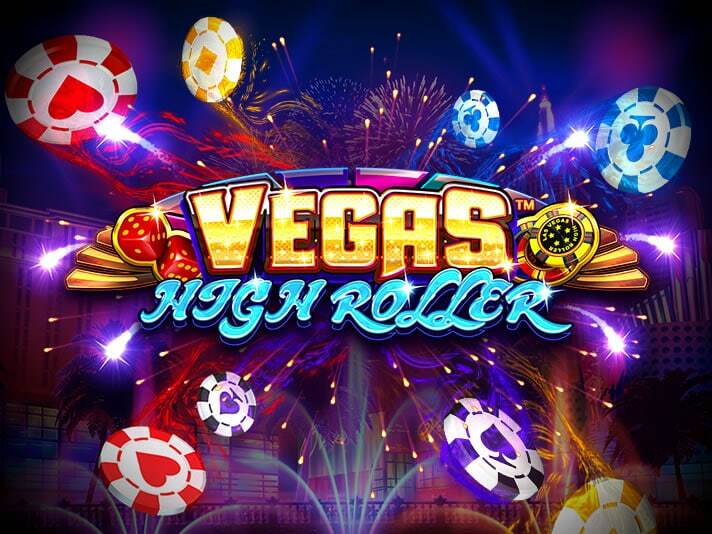 Enjoy the bright lights of Sin City in Vegas High Roller. Created by iSoftBet, it’s a 5 reel, 10 payline slot that comes with glossy sound and visuals and a bonus round that awards free spins which are played on new reels where each symbol is a casino chip which awards an instant cash award whenever they hit. Play in high roller mode and all you’ll see on the reels are casino chips. Play on all devices from between 10p and £10 per spin. You’d expect a Vegas-themed slot to be a flashy affair and that’s the case here. You’ll see a selection of Vegas landmarks in the background including golden lions, the Eiffel Tower and the Statue of Liberty. On the reels are heart, diamond, club and spade symbols as well as dice, a blackjack hand and a roulette wheel. The best symbol is the red 777. Land 2, 3, 4 or 5 of these in combination and you’ll pocket 0.5, 5, 20 or 200 coins. The famous Welcome To Las Vegas sign is the scatter. Land 3, 4 or 5 of these anywhere on the same spin to trigger the High Roller Free Spins feature. You’ll then go on to play 7, 10 or 15 free spins. These take place on a new set of reels. Instead of the standard symbols, you’ll see blanks and casino chips. Each one of the casino chips comes with a coin value attached of up to 100 times your stake. Every time a casino chip lands, the coin amount is added to the cashier and paid once the free spins are over. The Cashier Chips feature can activate at random in the base game and award random coin prizes (like in the feature). If you’re feeling brave you can activate the High Roller Bet feature. This will set you back a whopping 20 times your standard stake. Only the casino chips are in play. Their attached coin values are added to the cashier whenever they hit. If you manage to fill all 15 symbols positions during Hi Roller mode, you’ll trigger 3 Super Respins. These are streak respins. If a casino chip lands, the respins reset to 3. Once you’re out of respins or you’ve filled all the positions, the chips are cashed in with the cashier and that’s the prize you’ll win. You can pocket a whopping 1,500 times your total stake if you fill the reels with 1,000 casino chips. However, the biggest wins will come with the red 777 symbol – fill the reels with these win 2,000 times your stake. We’ve been a bit underwhelmed by many similarly-themed slots. Vegas High Roller is actually rather good. The design is just as glitzy as you’d expect. The features stack up pretty well, especially once you land the free spins. The Hi Roller mode really is for players with deep pockets. As far as variance goes, we’re in the medium to high range. If you fancy taking a virtual trip to the strip, then Vegas High Roller is a great place to start. I also suggest you try Book of Immortals which is also a great slot from iSoftBet.